London Audio Visual creates and delivers fantastic modular and custom built exhibition stands with integrated audio and visual systems including LED, Video walls that look fantastic and are created specifically around your objectives, to help you engage with customers and give you a return on your investment, our exhibition stands start from £2,000 and can range up to £30,000 depending on size and type. 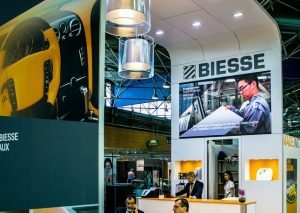 We believe an exhibition stand with just print and furniture is engaging, we have seen a huge rise in conversion with our interactive exhibition stands, using large format displays technology to capture your next customer, we can customize your print and LED screens seamlessly making your stand come alive. London audio visual can offer a full solution for your next exhibition, we offer an eco friendly modular system that allows us to integrate large visual screens and audio. We can also work with existing stand builders/contractors and help integrate all av aspects. With our new exhibition frame system possibilities are endless! Since our exhibition aluminum frames can be combined with both panels and textiles they can cope with almost every design. 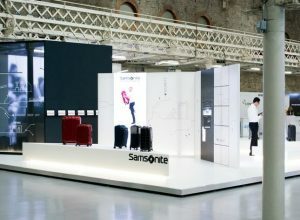 Our seamless exhibition design system allows us to effortlessly meet the needs of the most demanding applications: a great looking stand with no visible seams in the walls.